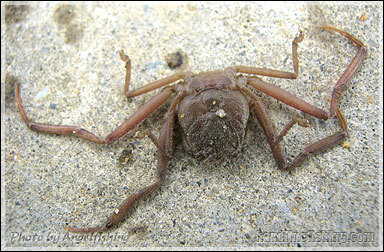 This crab can be found on drifting leaves near water surface. It is flat and blends in with the leaves as it gripes tightly onto leaves and floating debris with the sharp hooks on its legs. Very small in size and is able to swim well.